Each year Reynolds bids farewell to great students that graduate and/or transfer to four-year universities. Catching up with alumni gives the college a chance to see the far reaching effects an education can have and the strides they take after graduating. A great example of a successful Reynolds alum is Reggie Stroble. Reggie attended Reynolds from 2006 to 2009 before transferring to Virginia State University to earn his bachelor’s degree. 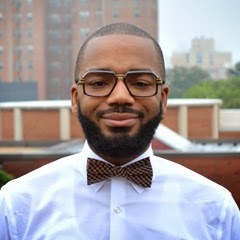 He then went on to earn his master’s degree at Virginia Tech and is now working as an assistant director in the Career & Industry Advising Department at Virginia Commonwealth University. So how did Reynolds prepare Reggie for his future? Reggie began his education at Reynolds in 2006 majoring in Business Administration. “In the fall semester before I was about to graduate, I failed Math 163 and I was not able to graduate in 2009. Instead of retaking the course in the fall, I transferred to Virginia State University to pursue my bachelor’s degree in psychology. While attending VSU I always regretted not finishing my degree at JSRCC,” explained Reggie. Reggie received his education from three great institutions, and is now putting his knowledge and hard work to use helping students to succeed in their chosen fields of study. Good Luck Reggie and way to make Reynolds proud! This article was provided by media relations assistant Jessie Pavlidis. Walking up to the dream wall, there was an exciting atmosphere surrounding the table full of blank sticky notes and the enthusiastic Student Senate team. Students and faculty alike swarmed around the tables to write their different dreams, some writing only one and others writing multiple. As you walked up to the dream wall, other people’s hopes and dreams were stamped up there, providing a powerful visual. The success of the Dream Wall event will carry on for years to come, as this event marked the beginning of a Reynolds student body tradition. 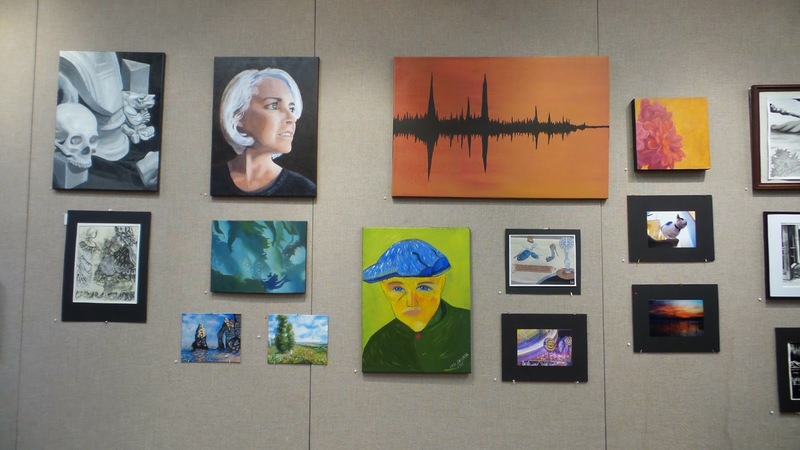 On Wednesday evening, April 22, a large group of art enthusiasts gathered in the Gallery of Georgiadis Hall on the Parham Road Campus to celebrate the artistic accomplishments of Reynolds students as the winners of the 2015 Student Art Show were announced. Each spring the walls of the Gallery become an art gallery for the Student Art Show, displaying creative works in all shapes and sizes. This year numerous individual works of art were on display through the month. The artwork included paintings, drawings, and photographs. Many of the works offered for sale were purchased by the audience members during the reception which followed the announcement of the award winners.